Woolcraft Aran Yarn 25% Wool. Top Quality Yarn From Woolcraft. If We don't have the amount you require in stock please contact us and we can sort out the amount you require. Delivery time is an estimated 3-5 Days for this Product. 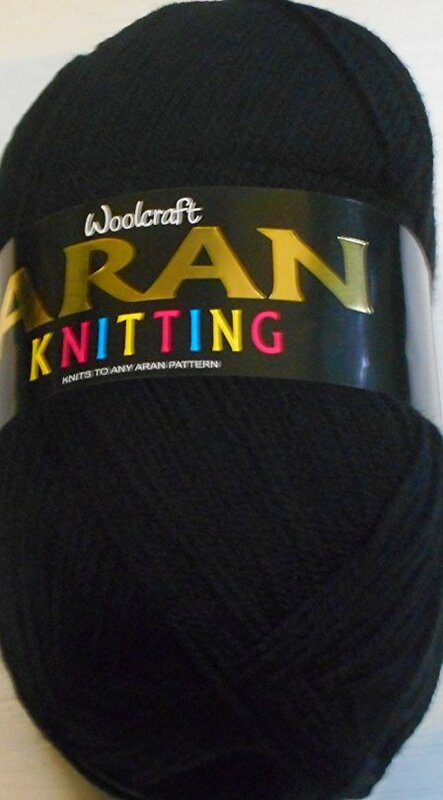 Aran Yarn From Woolcraft. 25% Wool Content. 400g Ball. Atlantic Blue. Aran Yarn From Woolcraft. 25% Wool Content. 400g Ball. Black. Aran Yarn From Woolcraft. 25% Wool Content. 400g Ball. Burgandy. Aran Yarn From Woolcraft. 25% Wool Content. 400g Ball. Cambrian Black. 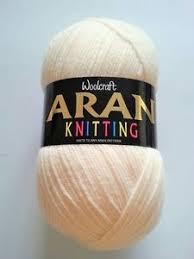 Aran Yarn From Woolcraft. 25% Wool Content. 400g Ball. Cardinal. 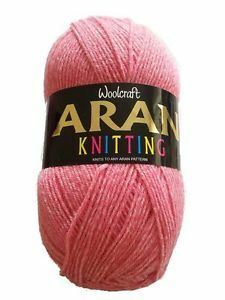 Aran Yarn From Woolcraft. 25% Wool Content. 400g Ball. Clover. Aran Yarn From Woolcraft. 25% Wool Content. 400g Ball. Cream. Aran Yarn From Woolcraft. 25% Wool Content. 400g Ball. Hamish. Aran Yarn From Woolcraft. 25% Wool Content. 400g Ball. Kingfisher Tweed. Aran Yarn From Woolcraft. 25% Wool Content. 400g Ball. Logan.